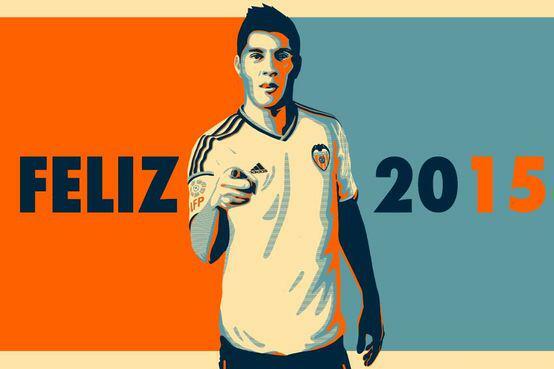 After weeks of speculation, in fact, months if we take into account the length of the transfer saga, Argentine forward Enzo Perez has finally sealed his transfer move to the Spanish giants Valencia. Perez has also been linked time to time with Manchester United, with Marca suggested last month that United’s record signing Angel di Maria had been trying to persuade his fellow compatriot to join Old Trafford in the January transfer window. Benfica have sold several first team players in the summer, with the likes of Lazar Markovic, Rodrigo et al have all left the Portuguese club for pastures new. The Eagles wanted to keep hold of Perez, and demanded a value of €30m, but their parlous financial condition at the moment forced the club to sell him at a bit reduced fee. Valencia have officially confirmed that an agreement has been reached, and the player will now travel to Spain for a medical. It is expected that he will complete his medical within Tuesday and will be ready to face Real Madrid in the upcoming fixture. “I’m very happy to get to Valencia. Tomorrow will be a long day,” said the new Los Che player. The 28-year-old forward is a regular member of the Argentine national squad, and was involved with the squad for the 2014 World Cup.